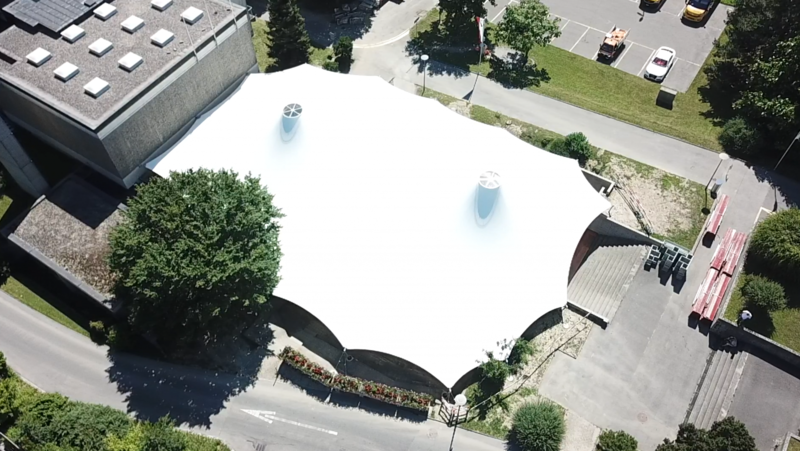 To be used in the summer months only, permanent anchor points were required for this large shade structure outside the local municipal offices in Crissier, Switzerland. 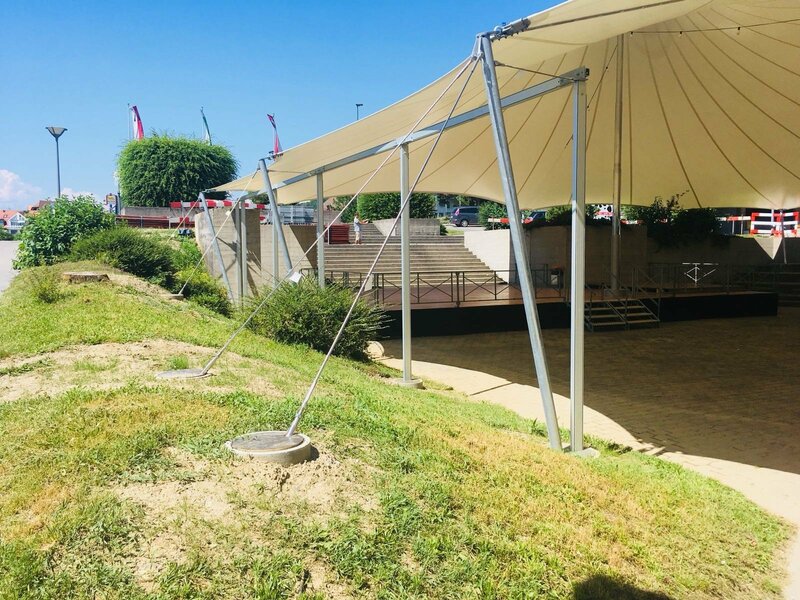 As no concrete was allowed on the project, a suitable anchor system was required to meet the specified project loads, ranging from 80kN to 150kN per connection point. 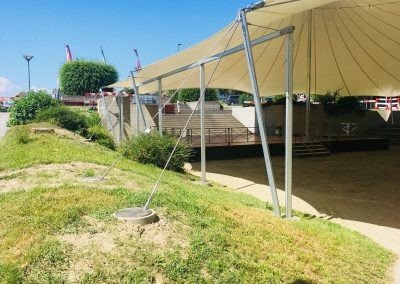 The Platipus B8 Percussion Driven Earth Anchor (PDEA®) was selected for its holding capacity in the specific soil conditions on-site. 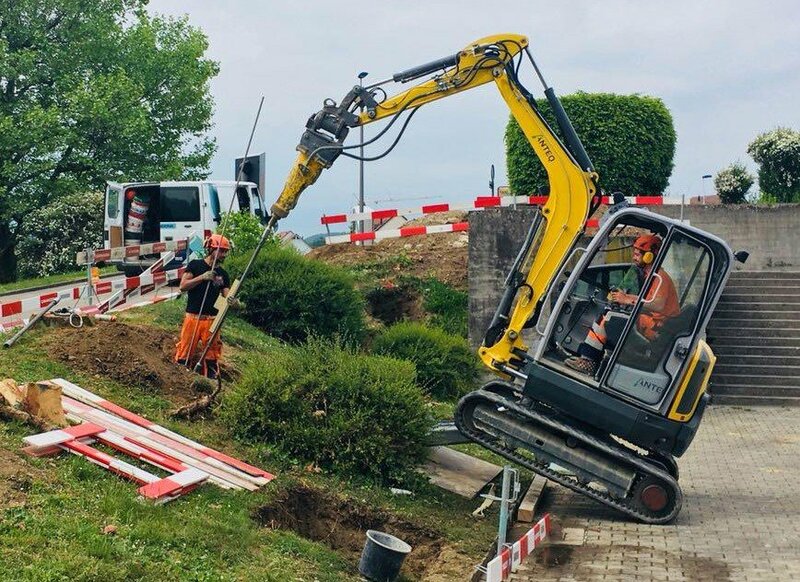 These anchor systems were installed in the designated locations by a team of two, using a small wheeled-excavator and proof tested to an exact holding capacity with standard hydraulic stressing equipment. To meet the specified 100 year design life of the whole project, the anchor head was supplied in aluminium bronze with stainless steel threaded rod and accessories. 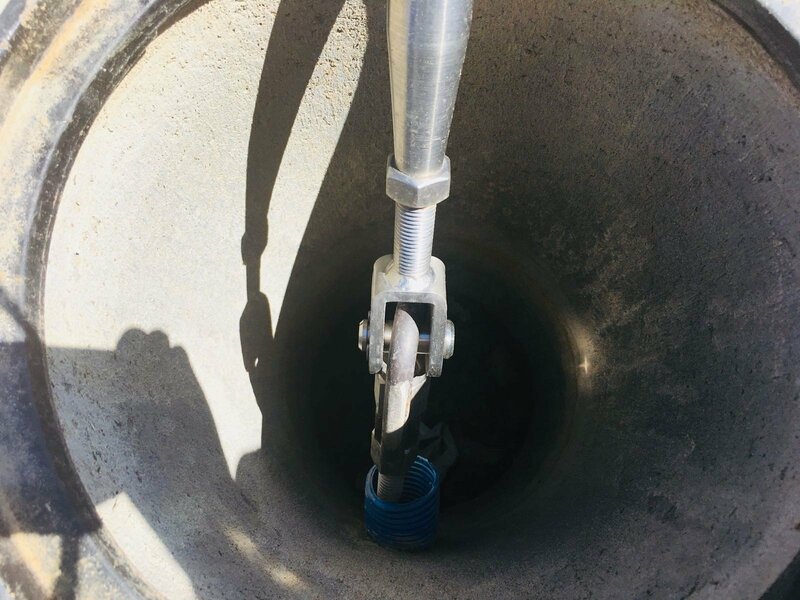 Each anchor was finally terminated below ground level, concealed in an inspection hatch, allowing for easy access when dismantling & re-assembling each season.